Zeta has been owned for around 25 years by Magda Buijs and Rob Slinger. 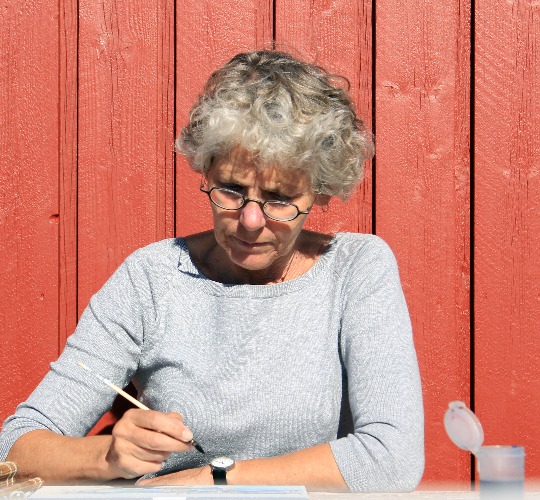 Magda is a teacher and and artist who exhibited in 2016 at the Voerman Museum in Hattem, a city about 60 km East of Amsterdam. 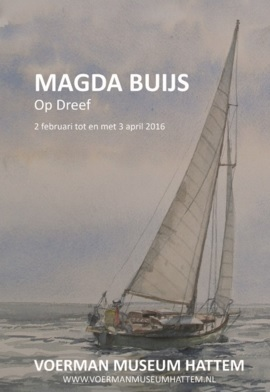 Magda often paints pictures with a nautical theme, and the brochure for her recent exhibition featured a stunning painting of Zeta on the cover. 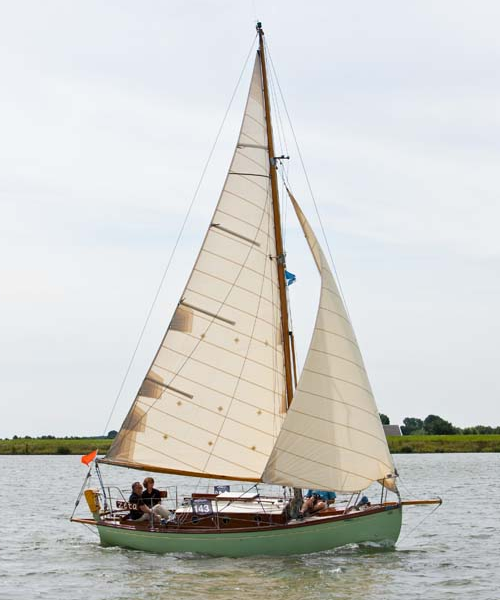 Magda and Rob often show off Zeta at the Dutch Classic Yacht Regatta which takes place in odd numbered years at Hellevoetsluis. The photograph at the top of the page was taken in 2009 at this event.